When a pickpocket grabbed his wallet in Barcelona, Douglas Fields fought back. He recovered his wallet, and was unharmed, but later marveled at his instantaneous, unthinking reaction. 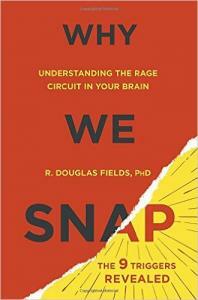 In his book, Why We Snap: Understanding the Rage Circuit in Your Brain, he explores the neurocircuitry driving such automatic responses. Some people put themselves in harm’s way to aid strangers, while others respond to minor traffic incidents with road rage and other violent behaviors. From a neuroscience perspective, he suggests, the same brain circuits drive these dissimilar acts.